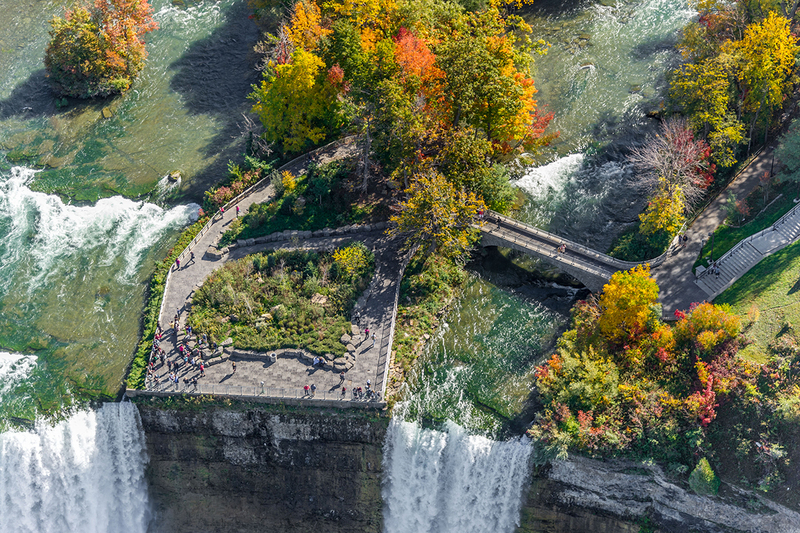 Luna Island, perched at the crest of Niagara Falls, has become one of the most iconic and popular destinations in Niagara Falls State Park and provides some of the most thrilling viewing opportunities of the falls and gorge. 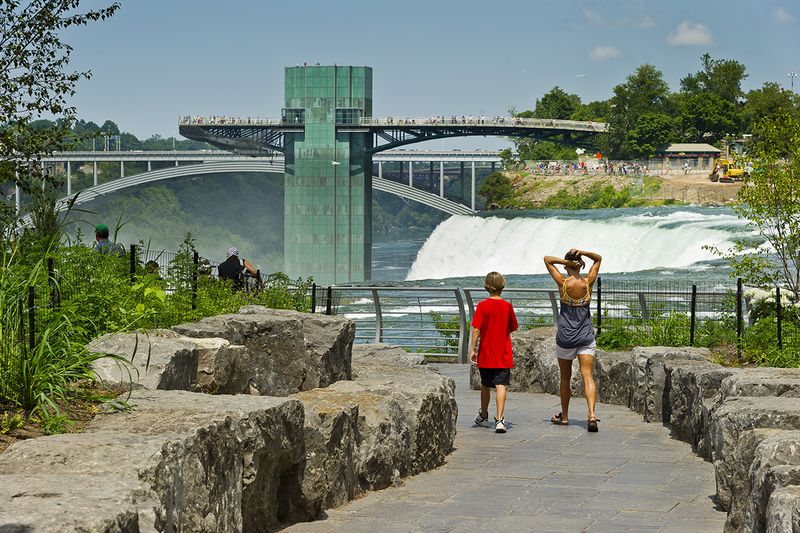 The New York State Office of Parks, Recreation and Historic Preservation commissioned TWMLA to create a landscape improvements plan identifying sustainable, universally accessible and historically sensitive landscape improvement projects. 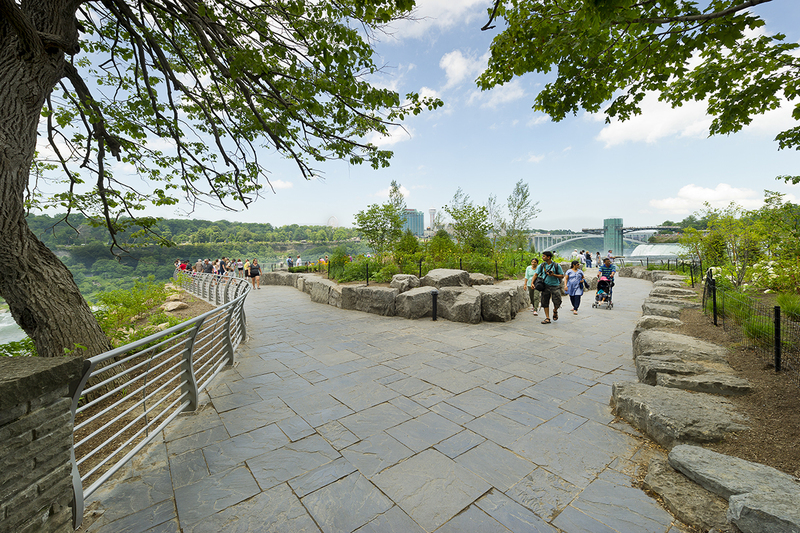 The revitalized Luna Island employs a materials palette and landscape strategies developed by TWMLA in Niagara Falls State Park to strengthen the park’s identity. In the 1950’s, a cliff stabilization project that included blasting at Luna Island resulted in the removal of almost all of the original vegetation, which was never restored. 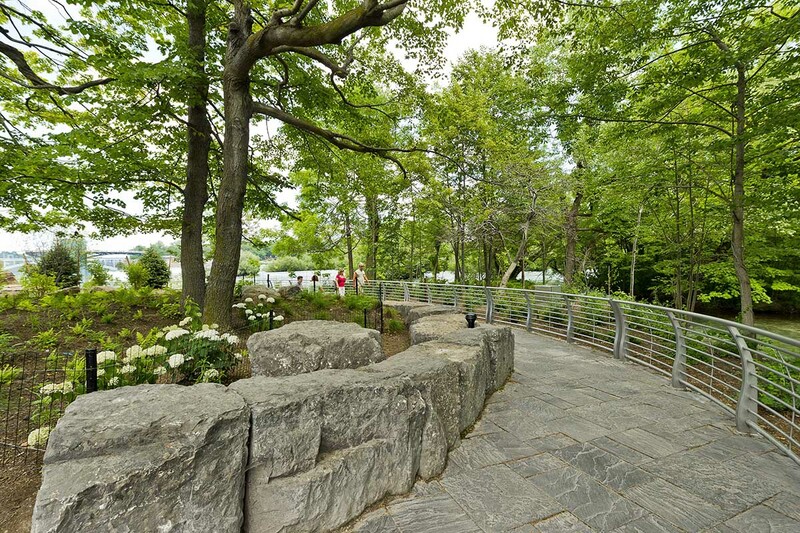 TWMLA’s design concept replaced the non-descript eroded landscape with sculpted landforms, rustic stone outcroppings, and robust native plantings. Plantings accentuate and frame view sheds and can adapt to the influences of wind and ice, a process which contributes to the development of the picturesque aesthetic of this landscape.